It’s been far too long since I’ve sat down and shared a cocktail with you guys 🙂 I’m a little obsessed about infusing all the liquors, ever since I got inspired by the Infuse book. 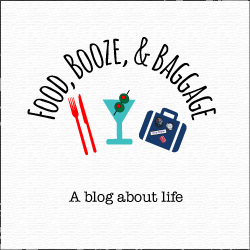 I have a huge list of infusions I still want to try. Anyway, so yes, another infused liquor is involved in this one, get use to it 🙂 Also, I had to share my newest tonic obsession as well, which is Fever Tree. 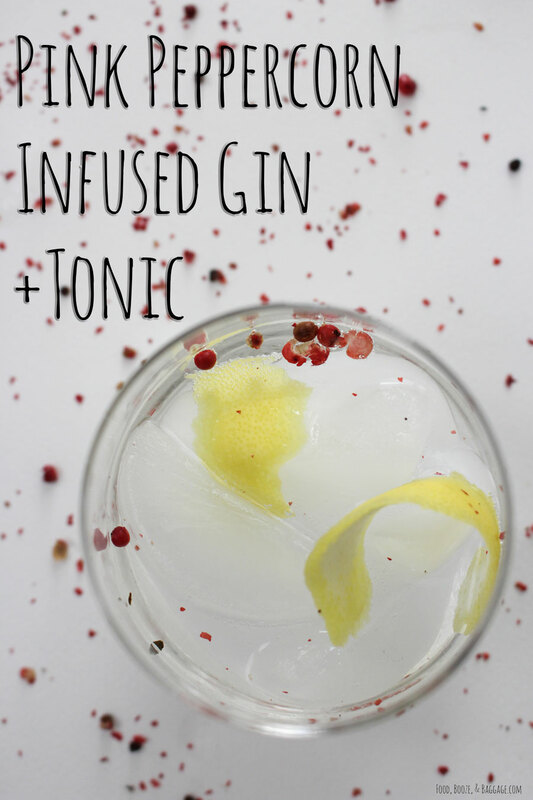 This tonic is different than your traditional tonic, it’s less sweet, less sharp, so well balanced, and makes the perfect G&T!! 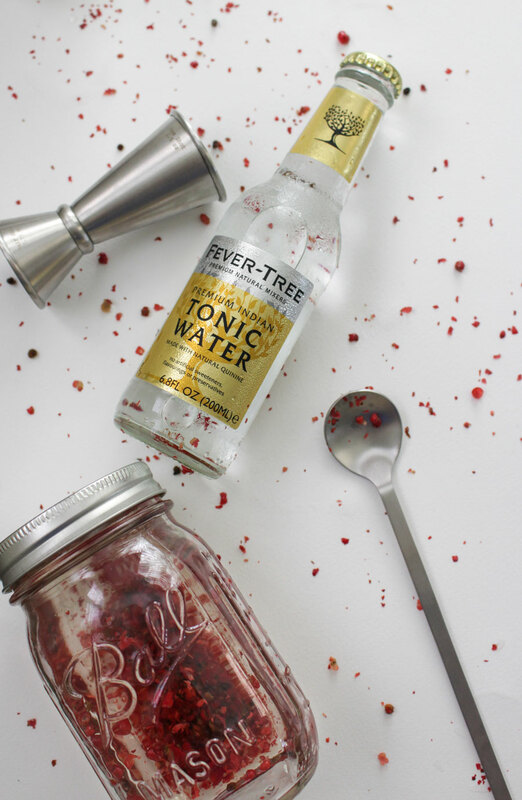 Pour gin and pink peppercorns into mason jar, shake, and infuse for 24 hours. This one needed the overnight infusing to really start to pick up the flavors. Strain out peppercorns, you can use a cheesecloth or I used the pour-over cone with a coffee filter. Store strained infused gin in fridge, until ready to use. 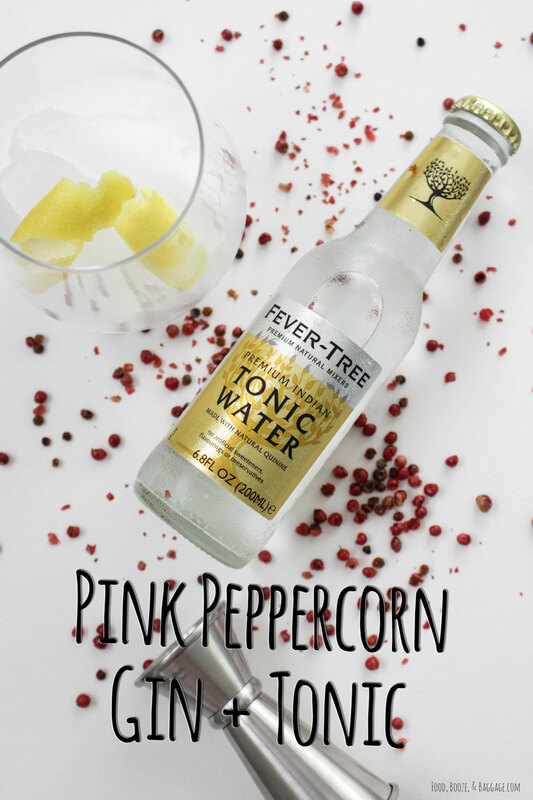 Fill glass with ice, add pink peppercorn gin, and fill remaining room with tonic. Twist lemon peel over glass to release some of the oils and drop in. Stir and serve. 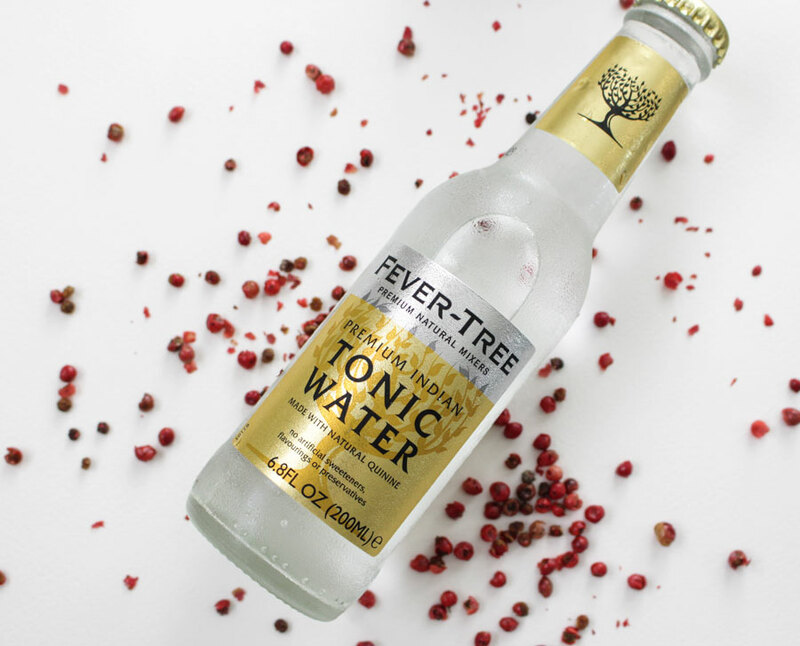 Do you have a favorite tonic or is it just me?